In the afterglow of federal incentive programs that brought electronic health records systems into hospitals and ambulatory clinics, there has been a scramble to figure out what emerging technologies in healthcare can do with all of that digital patient data. Analyzing the data is a must -- and not only from the philosophical view that the medical industry needs to pinpoint how treatments affect patient outcomes. Providers must also prove ROI on their electronic health record (EHR) investments, and a treasure trove of patient data is one way down that path. Earlier this year, the editors at SearchHealthIT noted four major health IT trends to watch for in 2018: AI, EHR analytics, blockchain and mobile health. It's no surprise that our new handbook deals with two of those topics -- AI and blockchain -- as they represent emerging technologies in healthcare that in theory could pick apart patient data transactions in different ways. 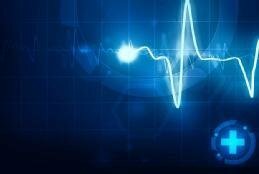 A third emergent technology, IoT, has found some success in healthcare, too, as sensors and connected medical devices allow for better real-time monitoring and integration of data. A killjoy with all three of these emerging technologies in healthcare is that they remain largely unproven. IoT is closest to the finish line but still has security challenges; blockchain proponents claim the transaction process is tamper-proof, but it's plausible that someday hackers will discover a way in; and AI can mean vastly different things depending on which software or platform an organization evaluates. From my perch, this tech trio will rise up as real players in hospitals and other medical settings once they shake off the hype and cybersecurity bugaboos. But what about those of you who actually are faced with using these technologies? Read this handbook's three stories and let us know what you think the future holds.